Have you taken Rx drugs you weren’t prescribed? Have you ever taken Rx drugs more than prescribed or when you didn’t need them? Have you taken Rx drugs that were prescribed to your parents or your friends? Did you know that prescription drugs can have all the same adverse effects as illegal drugs? They are highly addictive, often lead to using more dangerous drugs, and can cause death. 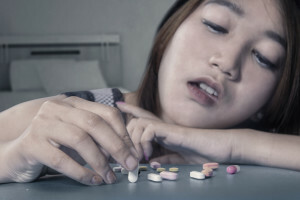 1 in 4 teens has misused or abused a prescription drug at least once in their lifetime. In high school, I was captain of all the sports teams I was on, had good grades, and I was liked by the majority of the school population. I would go out to parties and drink frequently, which turned into a daily habit by college. I dropped out of my first college because getting drunk and smoking pot became more important than going to class. At least I had plenty of friendsto drink with. I enrolled in a community college and started working for a small company. The drinking began to subside but smoking pot was now an everyday thing. I was working from 8am to 5pm and attending night classes from 6pm to 10pm, still smoking everyday and drinking every now and again. The company I worked for was beginning to grow and my responsibilites between work, school and home were beginning to weigh on me. My doctor prescribed me Xanax to deal with the stress and anxiety. At first, I was only taking the Xanax when I was really stressed or anxious, but that soon turned into 3 or 4 times a day. Shortly after, my life changed forever. Robinson, Lawrence, Melinda Smith, and Joanna Saisan. 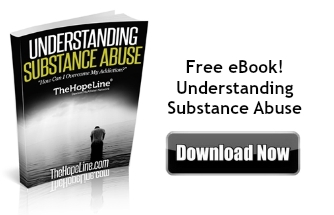 “Drug Abuse and Addiction” : Signs, Symptoms, and Help for Drug Problems & Substance Abuse. HelpGuide.org, 01 Apr. 2015. Web. 04 June 2015.